It’s been much discussed how Coltrane’s Christian background influenced him on A Love Supreme. His grandfathers on both sides were ministers in the African Methodist Episcopal church, and while the AME has a less affective and flamboyant style of worship than the House of God, Keith Dominion church that the Campbell Brothers come from, the musicality of the preachers Coltrane saw growing up no doubt had an influence on the album. 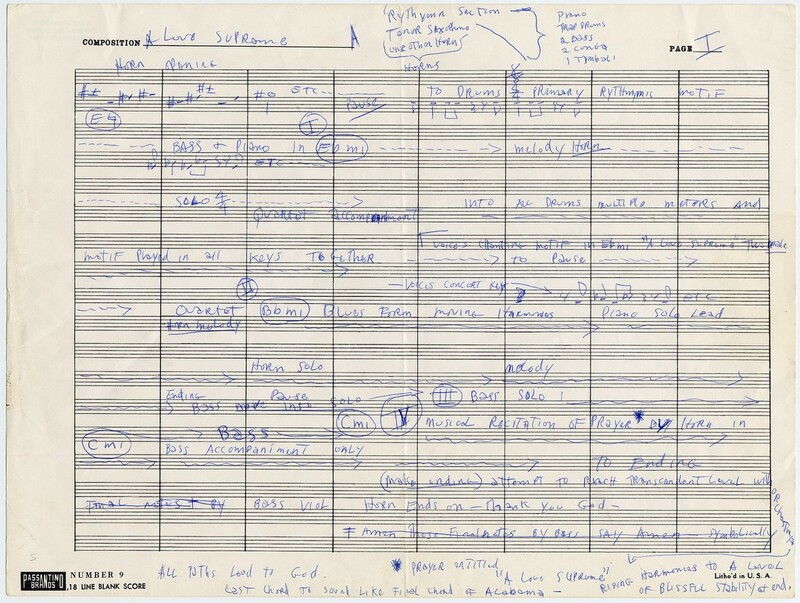 As musicologist Lewis Porter notes, Coltrane’s playing on the piece’s final movement, “Psalm,” is essentially a recitation of the self-written poem he included in the album’s liner notes. Coltrane himself refers to “Psalm” in his own outline for A Love Supreme (below) as a “musical recitation of prayer by horn.” Porter points out that this recitation follows the basic “tonal system” of the chanted oral sermon1. The technique of preaching through the instrument has been one of the defining elements of Sacred Steel music ever since pioneering steel guitarist Brother Willie Eason first performed “Just A Closer Walk with Thee” by “speaking the lyrics slowly while playing slurred passages on the top string of the steel guitar to make the instrument ‘talk,’” according to Sacred Steel historian Robert Stone2. These technical and structural parallels allow the Campbell Brothers to channel the Christian spirituality embedded in Coltrane’s piece. Coltrane and his band toy with energy in the same way throughout the piece. Clearly, there a number of ways in which we can see John Coltrane and the Campbell Brothers operating within the same musical, cultural, and spiritual framework. 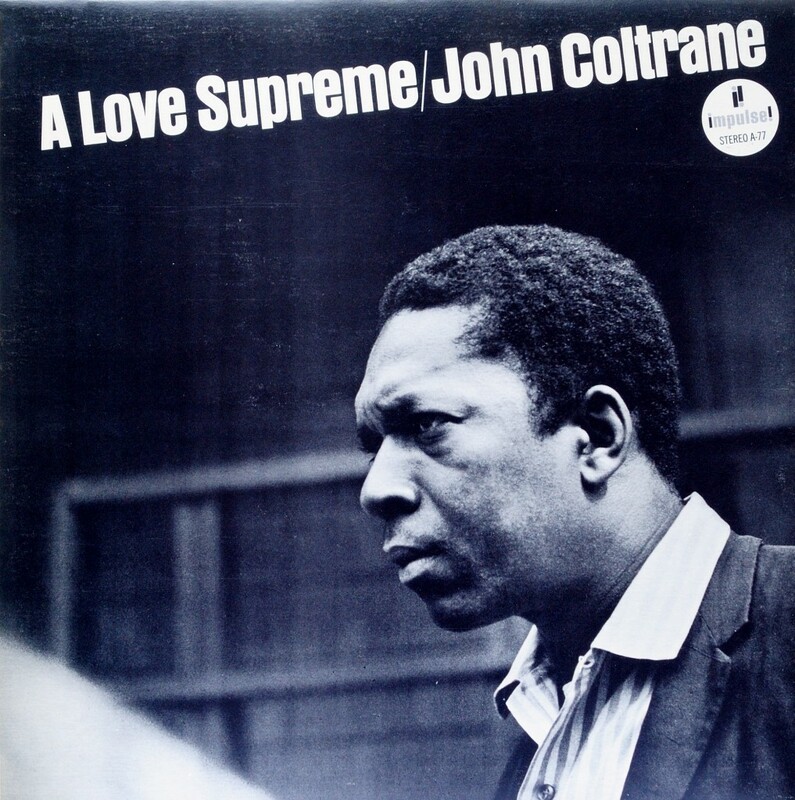 Within the studio recording of A Love Supreme, the absence of the visual and the control of Coltrane’s sound creates a context for music to be experienced as more profound and mysterious. In many ways, the album transcends its status as a physical object to become something more symbolic, a reified object and associated set of events that bring us closer to Coltrane’s dialogue with God than any live performance could7. Again, it seems that this album is continually experienced as a piece of testimony by John Coltrane. When we listen to the December 9, 1964 studio recording of A Love Supreme, it almost feels as if we are eavesdropping on Trane as he sings his song of praise. The Campbell Brothers, however, are less concerned with the audience witnessing their testimony. 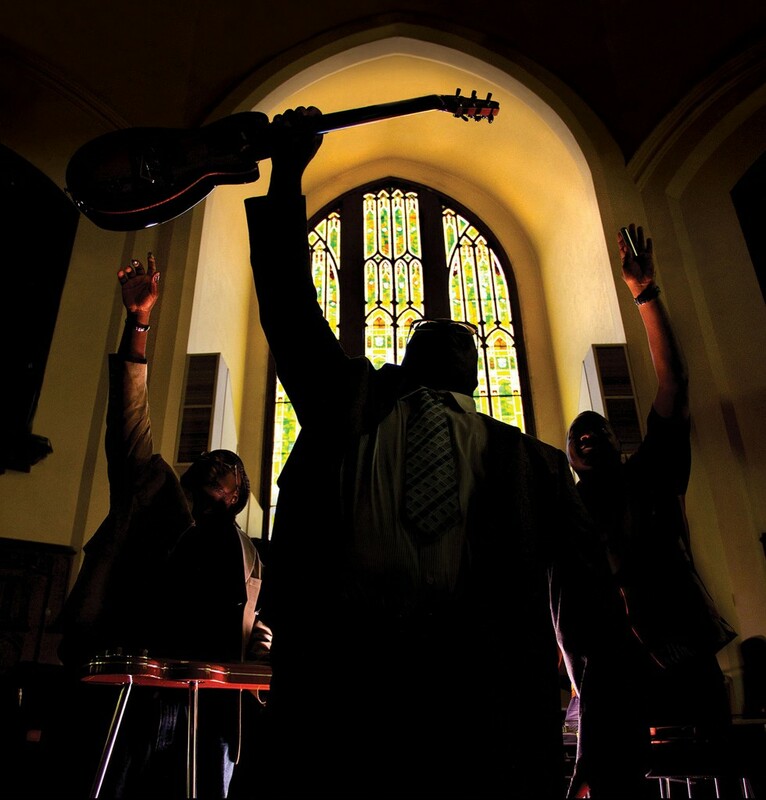 In the Sacred Steel churches, the band acts as a facilitator for the spiritual experiences of the congregation. A steel guitarist measures his success by how much he moves the congregation, not by how well he can communicate his own faith8. The Campbell Brothers manage to turn the isolated personal statement of John Coltrane into a tool for creating a more communal spiritual experience. They can turn the holy experience of listening to Coltrane’s prayer alone in a bedroom into something shared, public, and no less sacred. 1 Porter, Lewis. “John Coltrane’s ‘A Love Supreme’: Jazz Improvisation as Composition.” Journal of the American Musicological Society 38.3 (1985): 593–621. 2 Stone, Robert L. Sacred Steel inside an African American Steel Guitar Tradition. Urbana: U of Illinois, 2010. 75. 4 Lott, Tommy. “When Bar Walkers Preach: John Coltrane and the Crisis of the Black Intellectual.” John Coltrane & Black America’s Quest for Freedom: Spirituality and the Music. Ed. Leonard L. Brown. New York: Oxford U, 2010. 115. 5 Stone, Robert L. Sacred Steel inside an African American Steel Guitar Tradition. Urbana: U of Illinois, 2010. 51. 6 Whyton, Tony. Beyond A Love Supreme: John Coltrane and the Legacy of an Album. New York: Oxford U, 2013. 28–29. 8 Stone, Robert L. Sacred Steel inside an African American Steel Guitar Tradition. Urbana: U of Illinois, 2010. 50. The Campbell Brothers will perform John Coltrane’s A Love Supreme, along with a selection of gospel and spiritual works from their repertoire, on Thursday, February 26 at 8 pm in the McGuire Theater.